Answer a few questions and view jobs at Cerner that match your preferences. To contribute to the systemic improvement of health care delivery and the health of communities. Do You Work At Cerner? How does employee compensation change after the conversion to a Cerner ITWx employee? We have been ITWx since Jan 29 of this year. I haven't seen any compensation changes so far. Interesting scenario for you guys. Thanks for your insight..Im currently salaried and I asked the question of whether we would continue to be salaried or hourly, I was told we would still be salaried so I shall see how that plays out. Oh, and what happened to Printer City? There isn't an effective way unless your managers actions are outright belligerent. I discovered this when I left cerner and talked to HR about my reasons why. No *** were given even though current associates still voice their grievances. Though, being that the Trump admin basically killed much of the viability surround the EU-US datashield , I see a number of global teams ceasing to exist - at least on the US side. Furthermore, I'm stuck working with cwx central on my new job, and I had to deal with a new associate who couldn't figure out how to copy and paste while listening to his exec stumble to answer why a, we were working with someone new every other month; b, why contractual obligations were not being met (while Cerner tries to get us to sign away even more rights) and c, why they think it's OK to cover things up, specifically mistakes that result in downtime. All in all, I see us leaving for epic or mckesson in a few years. Oh, and what happened to Printer City? I knew Sean, the creator, just before he left, but when I asked for the software so that we could speed things up, they didn't want to talk about it or share it even though we're allowed to build our own printers. I've seen the Print City source code. It was great but had several problems that I can't/won't divulge. The fact that it was written by one guy who then left is enough to keep us from putting it into a client's hands without a significant amount of rework. Then there's the issue of, who supports it? What mnemonic are you working under now so I can look up their CCO and laugh? To the extent that you feel comfortable sharing, what's making it feel toxic? Your AR partner will probably listen but if it's not unethical they would likely be powerless. Your executive might care but you should also be ready to transfer out at that point in case it just dumps more gas on the fire. To the extent that you feel comfortable sharing, what's making it feel toxic? > what's making it feel toxic? * Conflicting information given (reviews, expectations, instructions, SOP, etc.) * Unclear working hours * Unclear development quality expectations * Heavily opinionated annual review metrics * Not given factors that we're measured on for annual reviews * Favorites; opportunities given to some, and not others * Told to follow Wiki / uCern instructions when asking for advice * "talked-to" when following wiki instructions (most are outdated / incorrect) * Told to only report *billable* hours * Some associates can work from home while others cannot * Chinese telephone method used to deliver messages from management * Team meetings are unclear, outdated * Told to "book conference rooms to socialize" * Not given more work when requesting more * Some associated given choice projects regardless of skill * 1:1 meetings useless, used to review task completion * Upcoming: precise time logging salary employee ... And the list goes on. It allows almost anyone to eventually become a manager if they stick around long enough regardless of their capabilities (Cerner in general also values years with the company over capabilities). &nbsp; Don't like it? Sadly, reporting these kinds of practices is pointless because they are coming from the higher ups. Just look at the email from 15 years ago, Patterson never even apologized. &nbsp; Toxic managers are very common at Cerner but there are genuinely fantastic ones too. Your manager can make you love or hate your job. This rings true in every medium sized or larger company. Cerner has a particular problem with it due to the top management being toxic and the bottom level having crazy high turnover. It allows almost anyone to eventually become a manager if they stick around long enough regardless of their capabilities (Cerner in general also values years with the company over capabilities). &nbsp; Don't like it? Find employment elsewhere. That may sound harsh, but it's honest. > Don't like it? Find employment elsewhere. I really wish there was more I could do as an individual to improve working conditions for myself and others. How Would You Rate Working At Cerner? Are you working at Cerner? Help us rate Cerner as an employer. How Would You Rate The Company Culture Of Cerner? Have you worked at Cerner? Help other job seekers by rating Cerner. You can find out what it is like to work at Cerner, also known as CERNER CORP, Cerner, Cerner Corp and Cerner Corporation. Zippia gives an in-depth look into the details of Cerner, including salaries, political affiliations, employee data, and more, in order to inform job seekers about Cerner. The employee data is based on information from people who have self-reported their past or current employments at Cerner. While we have made attempts to ensure that the information displayed are correct, Zippia is not responsible for any errors or omissions, or for the results obtained from the use of this information. 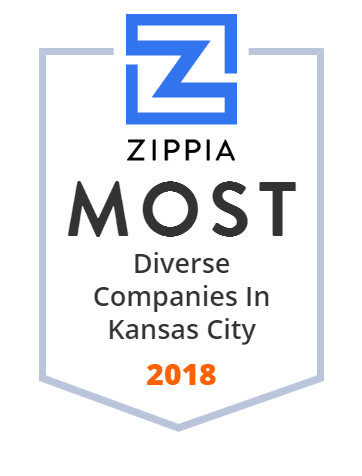 The data presented on this page does not represent the view of Cerner and its employees or that of Zippia.